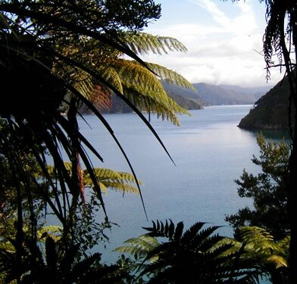 Your Marlborough Sounds adventure starts from Picton. 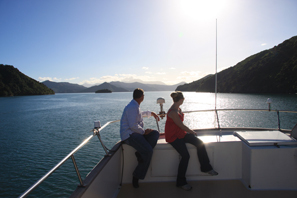 Cruise Queen Charlotte Sound, Kenepuru Sound and Pelorus Sound. the birdsong and look out for the rare South Island Saddleback as you walk along.  Go ashore at Ship Cove where English explorer Captain James Cook made his home in the early 1770’s. Giant Rimu, Nikau, Beech trees and tree ferns. 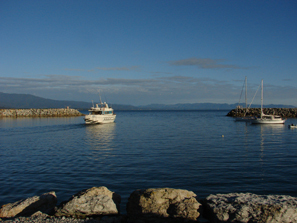  Visit a salmon farm where the process of salmon farming will be explained.  Visit a King Shag colony. The King Shag can only be found in this remote part of New Zealand. 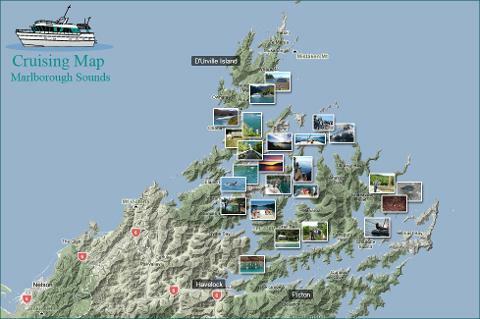  Cast your rod and try your luck at catching a Blue Cod and other species in the waters of this area. There’s nothing like eating fresh fish caught by your own hands.  Visit French Pass and d’Urville Island and indulge in a delicious dinner at The Wilderness Resort Café. hidden bays and coves of the Sounds. you better. Please understand you are responsible for your own safety and actions during these unguided walks. Cruise costs include; crew, accommodation onboard; bedding and towels, all meals and all activities mentioned in the itinerary. Sole Occupancy is available on most cruises. An additional charge of NZ $200.00 per night applies.